Barry O'Farrell, a premier of New South Wales (NSW), while welcoming more collaborations between India and Australia at the university-level, said that racial attacks on Indian students were a thing of the past and assured complete safety to them. 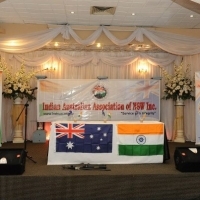 The statement from the NSW premier comes as a measure to build confidence in the wake of Indian students facing racist trouble in the recent years, which had prompted widespread protests and had also endangered the diplomatic ties between India and Australia. He said that any student who visits Sydney or any other city in Australia is completely safe and people can go about to their work, study or tourism without fear of violence adding that they are particularly strong on that. O'Farrell also said that Universities have made sure to take extra steps, including erecting extra relationships with local communities. He said there are more overseas students in NSW, than any other state in Australia, adding that as it is one of the growing sectors of NSW, the state earns more from international education. O'Farrell who is also an MP said that the government of Australia was eager to see more universities coming to their country. He said that Australia provides high-quality education be it vocational education, at high-school, or university level and they are eager to see larger collaborations in the universities.